The powerful Voluson E6 system offers an excellent mix of capabilities for effective and efficient care, including extraordinary 2D image quality, outstanding 3D/4D imaging, automation advances, intuitive workflow tools, and a smart ergonomic design. Entry level to the Voluson Expert Series, the Voluson E6 helps give you flexibility, ease of use, and the speed and reliability to manage a comprehensive range of routine obstetric and gynecological exams. 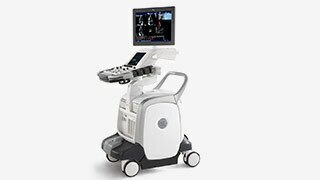 Voluson i was the world’s first compact volume ultrasound system. Voluson i helps you achieve advanced, console-quality performance in a portable package that can easily go with you to your patient. It is well suited for Obstetrics, Gynecology, Labor and Delivery, Assisted Reproductive Medicine, and Maternal Fetal Medicine applications. And packed with the capabilities to help give you the 2D/3D extraordinary vision needed to confidently scan your patients through all stages of their lives. With the Signature Series Voluson S8, you can count on exceptional imaging across a range of applications. And workflow innovations that help deliver excellent results with fewer keystrokes. And, a compact, ergonomic design. Confidence for clinical decision-making. Tools to grow your practice. Productivity at a price that leaves more room in your budget. Your patients count on you for responsive, high-quality care. You can count on the Signature Series Voluson S6 to provide the advanced ultrasound imaging you and your patients demand. Our powerful, yet affordable, system offers an excellent mix of capabilities to help meet a comprehensive range of routine obstetric and gynecological exams as well as reproductive medicine. Get superb image quality, flexibility, ease of use, speed and reliability—all in one smart ergonomic package. 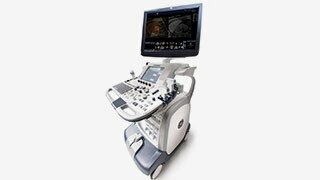 The LOGIQ F8 offers an affordable ultrasound system that combines excellent image quality with simplified workflow and smart design for women’s healthcare. This powerful combination will help you take patient care forward.The LOGIQ F8 helps you achieve great images using tools including CrossXBeam (Spatial Compounding) and SRI (Speckle Reduction Imaging). Connect to more than 10,000 Voluson users through VolusonClub, our global networking site. Learn, network, share-and get the most from your investment.